since he passed the bar 67 years ago. 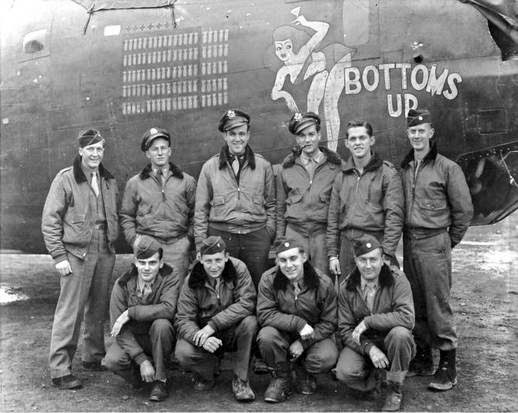 Joe Geary (standing, third from left) flew 50 bombing missions in the liberation of Europe and learned valuable lessons for the legal profession. 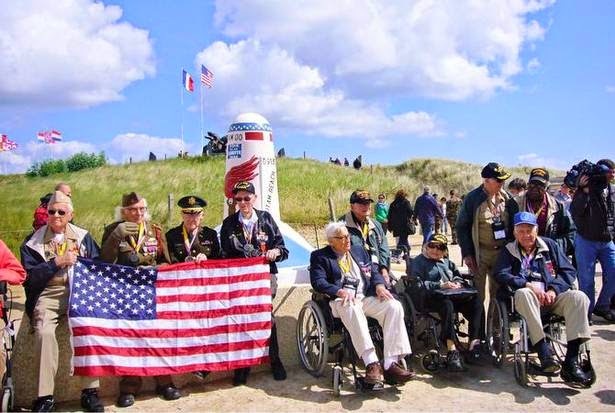 Joe Geary (far right), and other veterans pose for a group photo at the Utah Beach American Memorial June 2014 in France. Geary is a WWII veteran and former Dallas City Councilman. ADDISON — August has been busy for Joe Geary. The founder of Geary, Porter & Donovan PC went before a jury in Denton County and won $309,000 for his client in a state property condemnation case. And he’s knee-deep in depositions on another case that’s headed for trial later this year. The thing is, Geary is 90 years old. He’s been practicing law in North Texas since he passed the bar 67 years ago. On a typical day, Geary shows up at the office between 8:30 and 9 and leaves at noon for lunch at Preston Trail Golf Club. If his workload allows it, he stays and plays honor-count gin, a complicated version of gin rummy. 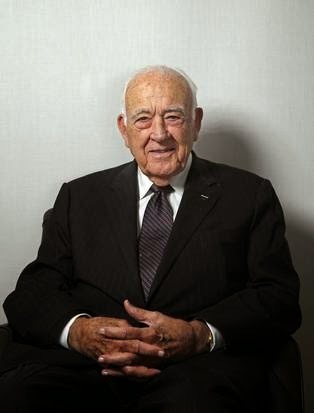 Geary’s legal career began as an assistant district attorney for Dallas County in 1947. He left the DA’s office for private practice in 1951 and was elected to the Dallas City Council in 1959. Former Dallas City Manager George Schrader met Geary in 1960. He has seen Geary operate as a legal adversary, as his comrade in zoning cases and now as his personal attorney. “He’s a distinguished attorney — very tough, represents his clients exceedingly well,” Schrader says. “But he also has a soft spot that most people don’t get to see. He’s done things for the city that he’s not gotten recognition for.”‘The gift of gab’Mike Geary, 60, has been at his dad’s side since he started coming to work with him on Saturdays as a 7-year-old. Mike joined his father’s firm fresh out of law school 35 years ago. Geary is a highly decorated World War II navigator who flew 50 bombing missions in the liberation of Europe. He left Southern Methodist University when he was 18 to enlist as an aviation cadet in the Army, traveling to Sheppard Air Force Base in Wichita Falls for basic training. His bus mates included Dallas Cowboys coach Tom Landry and Ben Love of Houston, who became one of Texas’ most prominent bankers. Geary and his comrades missed the D-Day invasion, waiting to hitch a ride across the Atlantic aboard a USO plane. They were miffed that their grand adventure was being delayed. But they matured in a hurry when they arrived to join the 450th Bomb Group in Italy later that summer. Geary doesn’t know how many men cycled through the 450th, but he’s read that 1,505 didn’t make it home. He and the flight crew almost made it 1,515 when they were shot down on Oct. 7, 1944. They were flying lead in a bombing mission outside Vienna. Five of the seven airplanes were shot down before the formation reached the oil refinery and storage depot target. Their plane was hit hard but they continued on and dropped their bombs even though it had lost its instruments and most of its fuel. The crew couldn’t bail without deserting their severely injured co-pilot. Somehow, Geary found an airfield on an island off the coast of Yugoslavia. Geary’s role earned him the U.S. Distinguished Flying Cross and Air Medal and the Knight of the Legion of Honor, France’s highest military decoration. Feeling appreciated, Geary depends on expensive hearing aids and uses a walker. But other than that, he’s still going strong. Shortly after he returned from France, Geary flew to New Orleans to be interviewed by the National World War II Museum for its archives. The war taught Geary responsibility and how to assess the enemy — useful skills for the legal profession. It also taught him how to figure out whom he could rely on in structuring his case handling. Born: St. Paul Hospital in Dallas, Feb. 2, 1924. Personal: Married for 56 years to Charlotte Geary, who died in 2005; one son and three daughters, nine grandchildren and five (soon to be six) great-grandchildren.